For anyone who likes to use beamer for presentation, here I provide another alternative theme. 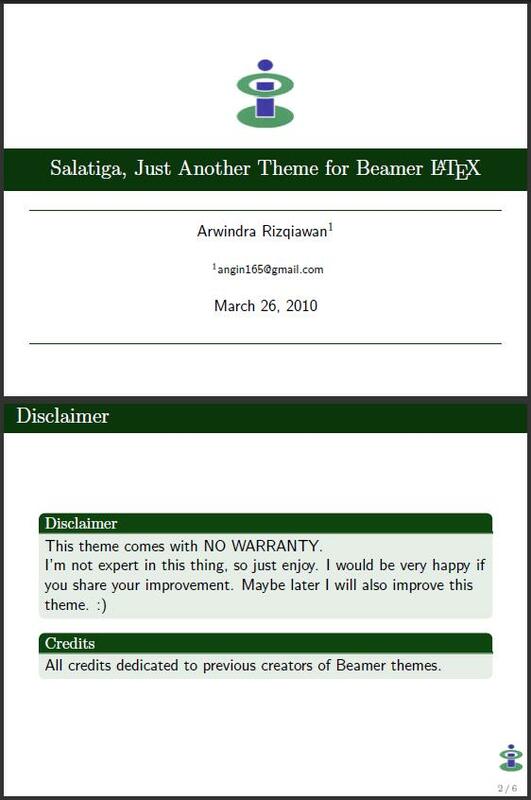 Basically, this theme is ‘hacked’ version of Rochester theme provided by beamer . I made my own title page so I can put my university logo on top of it. The rest of Rochester’s feature are still the same. I preserve the color feature so you could change the color theme as you like. This is still the first release, I hope I can improve it next time. But if you have improvement on this theme, I would very happy to hear that.